In dealing with journalists and editors consider 2 things: your credibility as a source and the short time span they have for their tasks. You should also know they do most of their research on the internet. The conclusion: what journalists find on your corporate PR website determines the quantity and quality of your company or brand media coverage. There are many studies about the internet’s impact on PR activity. Recently, we at Selenis also did a 5 months study, asking business editors what they like or dislike about corporate PR websites. Like any internet user, journalists are in a hurry and seek texts in plain language. So make sure all the important company information can be found in a single place and are written only in non-technical words. 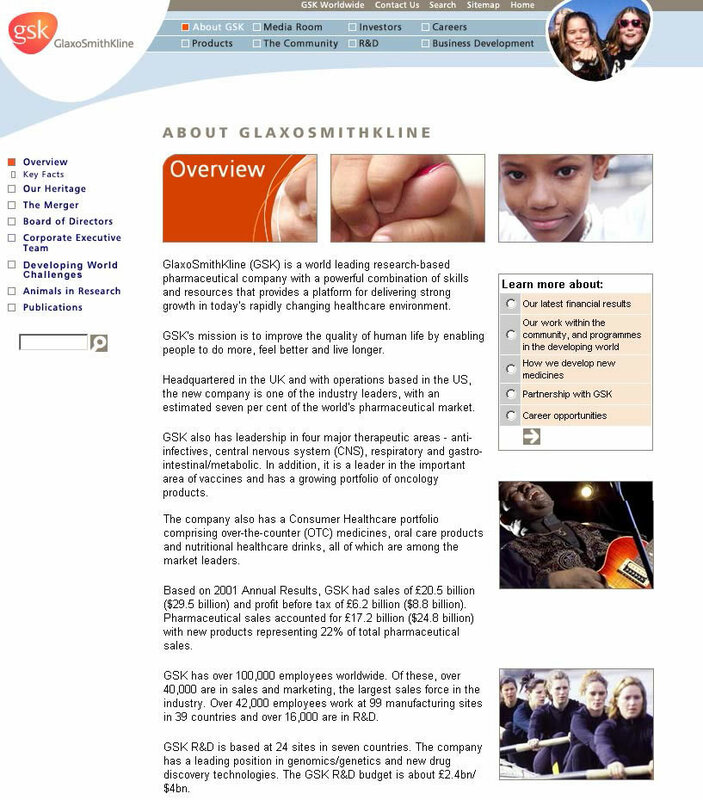 The GSK corporate PR website presents an extensive but condensed company profile, that helps journalists to learn everything they need about the company, in only one page. Display the releases in chronological order and group them by year, month or category. Journalists and editors trust more what their colleagues already wrote about the company than what the company has to say. They will search for other media mentions of a topic, whether you like it or not. This is why you can win their trust if you provide a balanced overview of media coverage right on your corporate PR website. That is the only place where you can make your arguments heard, in the case of a negative coverage of your company. 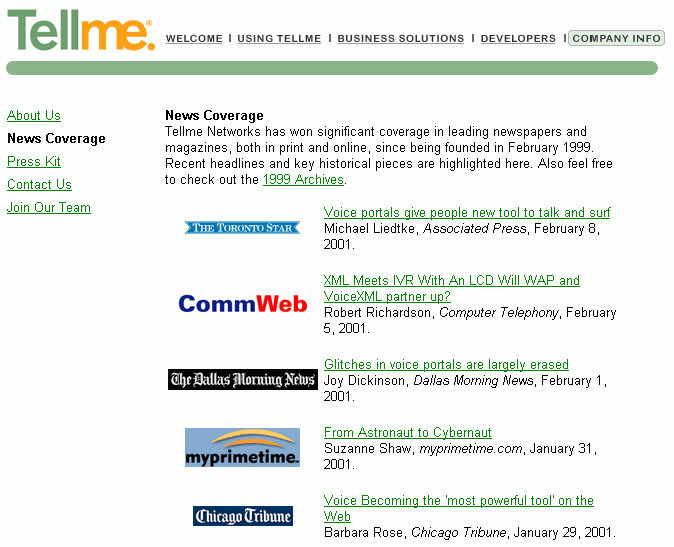 Former Tellme Networks corporate PR website presented a distinct news coverage section. Each news item was properly cited and linked to the source’s website. Working to tight deadlines makes journalists ask “do you have a photo to illustrate my report on your company? ” whether is 5AM or 11 PM. So make you sure you publish high-quality photo galleries both for a specific press-kit and for generic use (logo, product or facility images, top managers’ photo etc.). 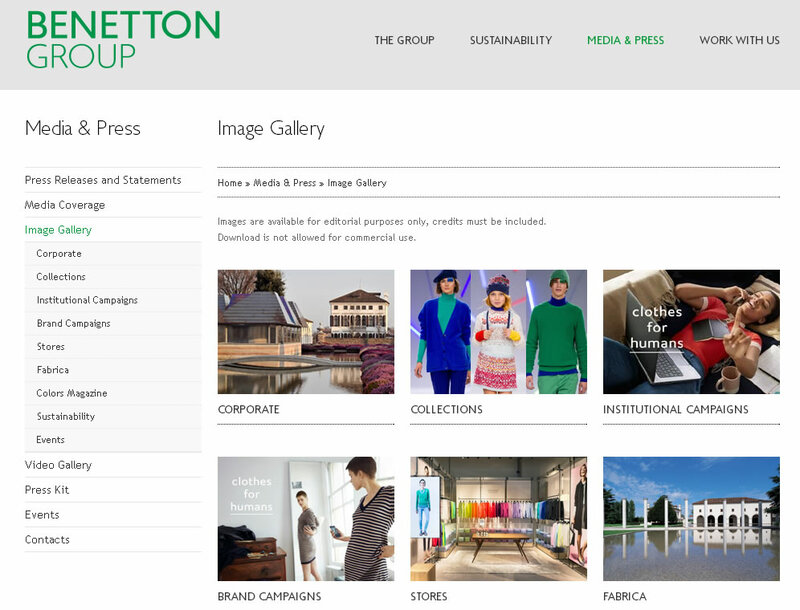 In their Press Section, Benetton makes extensive use of high-quality photo galleries in their Press Section. Journalists can illustrate their reports with images from institutional or brand campaigns, collections, stores or facilities. Corporate Social Responsibility (CSR) information that can be found on your corporate PR website can change journalists’ perception about your company. Before: “I think of Wall-Mart as an empire of evil who occupies the streets and squares of our quiet towns”. In the end, think of putting these 7 recommendations into a check-list. 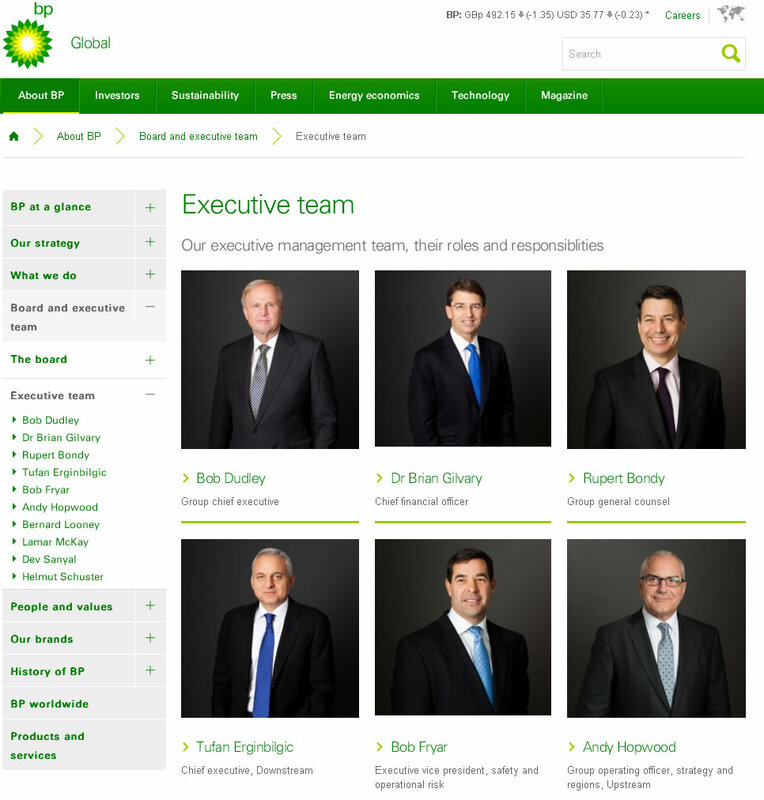 Benchmark your corporate PR website against it and make the necessary adjustments. After a while ask journalists if they visited your website lately and how easy was for them to find information. I’m sure you’ll get a good feedback. It will mean your corporate PR website has become a trusted source for them. A source that will bring you more positive coverage from their part.